We’ll never stop creating and collecting data; but, your strategic focus should be on connecting your data rather than the process of physically centralizing it in one place. Once your focus shifts to connecting data, you’ll enter a data management paradigm that is also distributed. Virtualization will continue to play a key role in helping organizations connect their data no matter where it lives. New standards that emerge will naturally focus on how the data is accessed as opposed to how it is stored. This will also require tracking active metadata, not only to monitor data lineage or schema, but also to enable more powerful capabilities such as monitoring the capacity of systems, what the content is and who is accessing it, and user and use case graphing. A common frustration I heard at the conference was an inability to dig into the data and understand the steps that led to an answer. A snapshot of your data is not enough. You need to understand the context in which the decision was made and how the data is related. Bringing this context to your employees can help them build trust in the data models and then subsequently reach consensus faster. Erick Bretheneux, one of Gartner’s Research Directors, gave knowledge graphs a shout-out as the best way to understand the context and relationships of your data, especially for natural language processing. He touted the intuitive nature of traversing the graph as it allows one to easily walk through data and see which concepts are related to one another. The theme of context came up again with data literacy, which Gartner defines as “the ability to read, write and communicate data in context.” Simply providing broad access to data is not sufficient to enable data literacy. Users across the company must be able to understand where the data comes from and the analytical methods that were applied. Data literacy is a big skills gap today. Gartner predicts that by 2020, 80% of organizations will initiate deliberate competency development in the field of data literacy, acknowledging their extreme deficiency. As data and analytics tools become more pervasive throughout an organization, it will be paramount to ensure all employees are equipped to explore data in an accurate and meaningful manner. Gartner shared results of their 2018 Chief Data Officer survey, and, overall, this relatively new position has been increasingly adopted. Over half of those surveyed reported an increased in team size and budget from the previous year. As these early resource-constraint hurdles are crossed, a new crop of barriers have emerged that are preventing data leaders from properly leveraging their data. The top-ranked barrier was cultural resistance to change, which is not surprising given that there is a high reluctance to share data with other departments. Another issue highlighted was the current focus on tactical metrics. CDOs still tend to report on data-quality metrics such as accuracy, completeness, precision, scale, and usage rather than identifying and articulating business-centric metrics. This leads the majority of data leaders to focus on improving internal processes, but the untapped potential is around strategic business objectives such as developing new offerings to build new revenue streams. Successful CDOs will help organizations transition from a reactive to a proactive orientation. Earlier this year, Gartner identified graph as a key technology in 2019, and several analysts at the conference discussed the uses and benefits of graph. An organization’s competitive edge depends on asking complex questions across complex, distributed data. Graph enables you to traverse these networks with millions of data points across a variety of sources. This enables organizations to answer questions like “Which of the millions of financials transactions made earlier today in the United States sent money to individuals on a federal watch lists?” or “What effect will a typhoon in Southeast Asia have on the fishing industry in Canada?” Graphs are the only data representation that can efficiently model, explore, and query data in today’s challenging data landscape. Gartner noted that graph adoption is also rising due to an increase in proficiency. Stardog is committed to investing in programs to help the data community build new skills. Try out the Stardog Sandbox to see what the hype is about knowledge graphs. 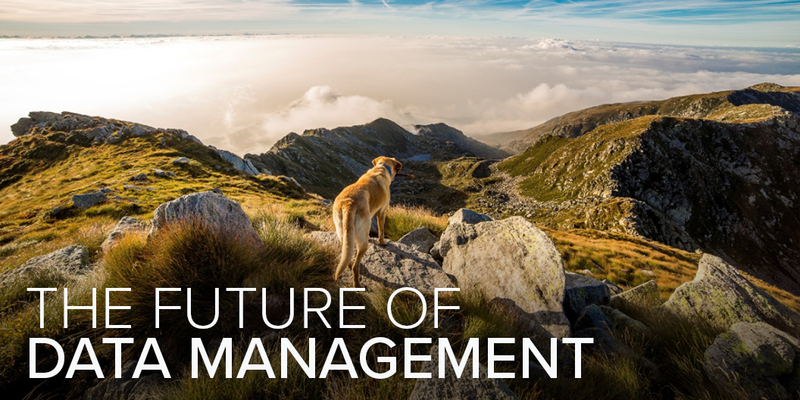 The future of data management is not just about the incorporation of emerging technology like knowledge graphs. It is a story about people adapting to change. Stardog is committed to partnering with you on your journey of transformation. Reach out to us today to get started.